Tisshaws Family Law Solicitors is the largest specialist family law firm in Mid Sussex. We know how upsetting and difficult separation and divorce can be. Having the right lawyer on your side can really make all the difference for you and your family. At Tisshaws, we take the time to understand your individual circumstances and give you our specialist personalised legal advice, so you can achieve the best possible outcome. Tisshaw Family Law Solicitors are based in Haywards Heath, Sussex but work with clients throughout the UK and internationally. We are a Lexcel accredited practice, which assures you will receive the highest quality of client care from us. Currently, only 16% of English and Welsh law firms have been awarded this gold standard quality mark. We have a fixed fee cost for divorce proceedings. When dealing with more complex matters like financial settlements or child arrangements it is more difficult to predict costs in advance, but we will give you an estimate based on our previous experience and update you as your matter progresses. We would always encourage you to settle amicably and will actively promote alternatives to court wherever possible. As members of Resolution, we are trained in using a constructive and non-confrontational approach when dealing with disputes. We will give you realistic and honest advice. If you do need to go to court, we will ensure that your case is put in the best possible light and do all that we can to get you the outcome you want. 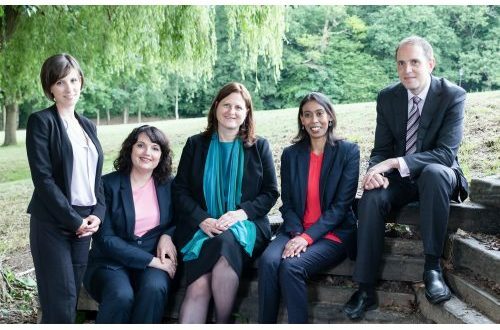 Tisshaws Family Law Solicitors has been established longer than any other specialist Family Law firm in Mid Sussex and Gilva Tisshaw has practiced law in Haywards Heath since 1996. We have built up a wealth of local knowledge and are well respected in the local community. We are proud to say that the majority of our work comes through referrals from previous clients or other lawyers and even from parties or lawyers we have acted against. We know how important it is to fully understand the law relating to your individual situation before you commit to any course of action, so we offer a low cost fixed fee initial consultation. If you would like legal advice on any family matters, then please feel free to contact us. We offer a one-hour £50 fixed fee consultation (inc. VAT) to give you the opportunity to talk through your situation with a qualified lawyer, before you decide to proceed. To book an appointment, please call 01444 472700 or complete the quick contact form. We know how difficult divorce and separation can be, so we offer an initial one hour fixed fee consultation with a fully qualified lawyer, to help you make an informed decision about how to proceed. To book, please call 01444 472700 or complete the quick contact form. Tisshaws is the Lexcel accredited, specialist family law firm for Mid Sussex, offering you clear, tailored, realistic advice combined with the highest quality service. Tisshaws LimitedT/A Tisshaws Solicitors. Authorised and regulated by the Solicitors Regulatory Authority. SRA No.566801. Registered in England No.7915886. VAT No.130 0270 81. Copyright 2017. Tisshaws Solicitors. All rights reserved. By providing us with your personal information to contact you, such as your name, e-mail address and phone number via the form on this website, you agree to us contacting you with regard to the information you request. The applicable laws in respect of the provision and use of this data are those of England and Wales.